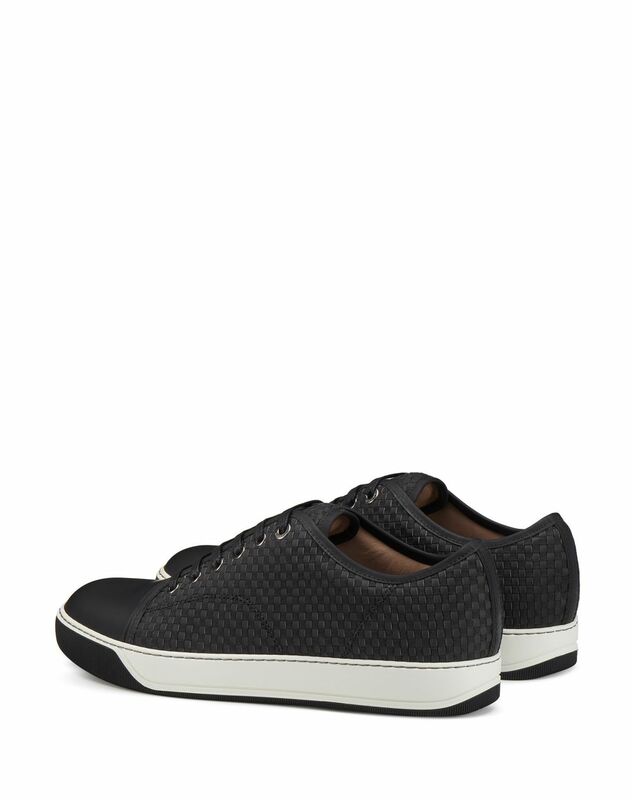 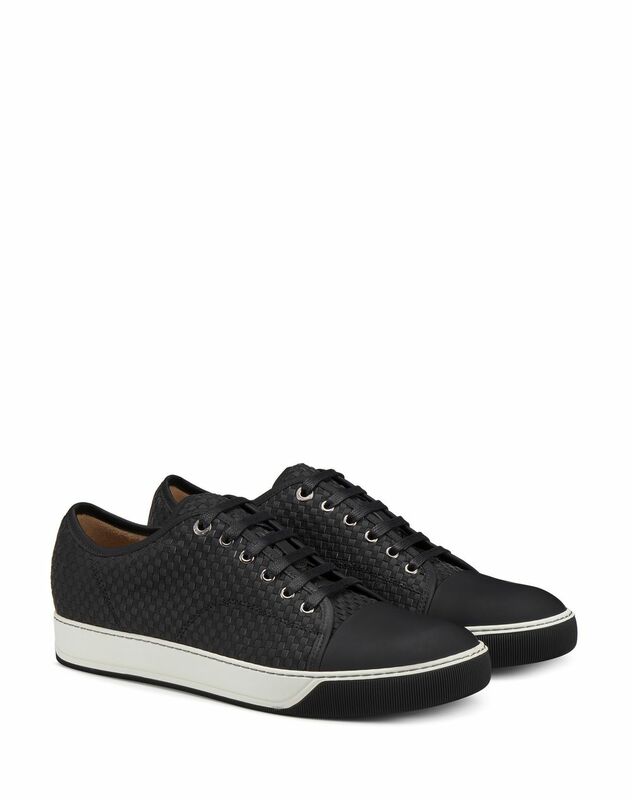 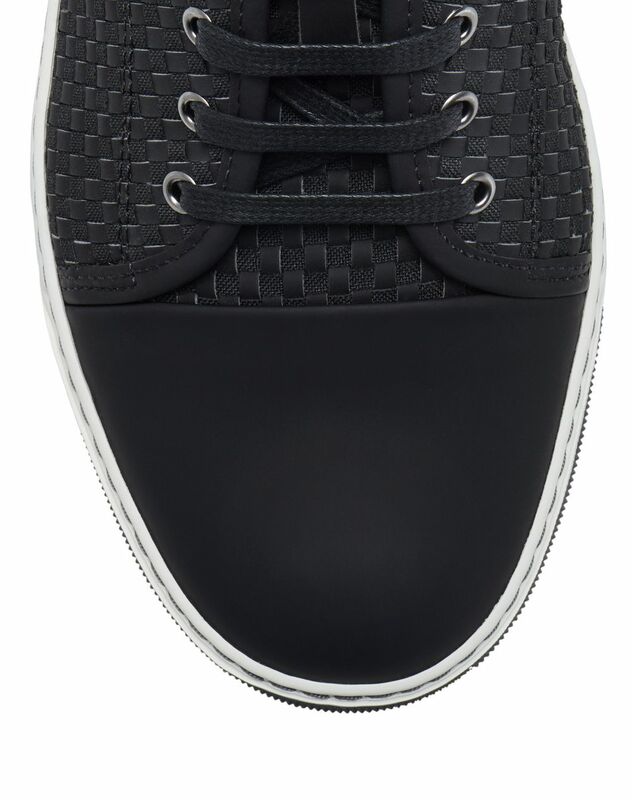 Woven low-top sneaker in black dual material, over-seam, calfskin leather cap toe, tone-on-tone laces, dark brown 100% calfskin leather lining with logo, and exclusive two-toned rubber sole. 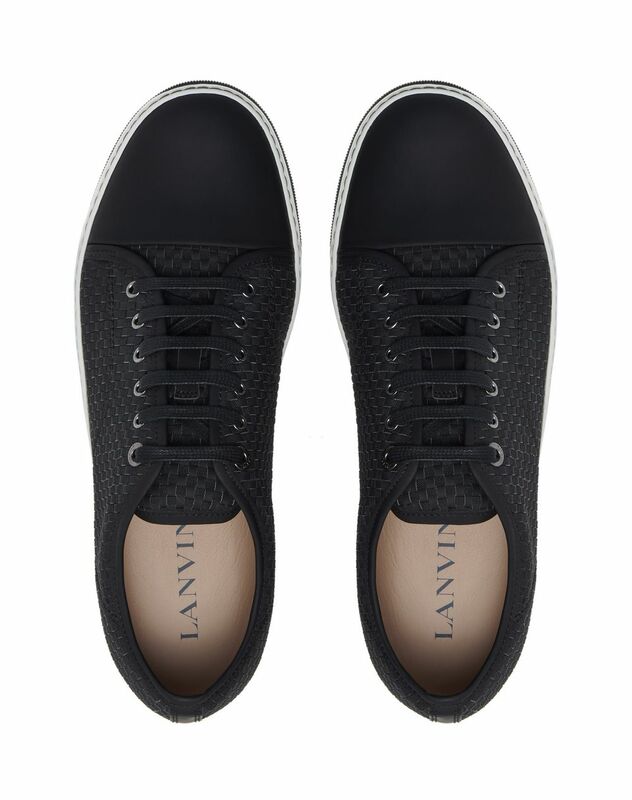 An iconic, timeless essential of the Lanvin men’s wardrobe, the DBB1 sneaker is reinvented each season. 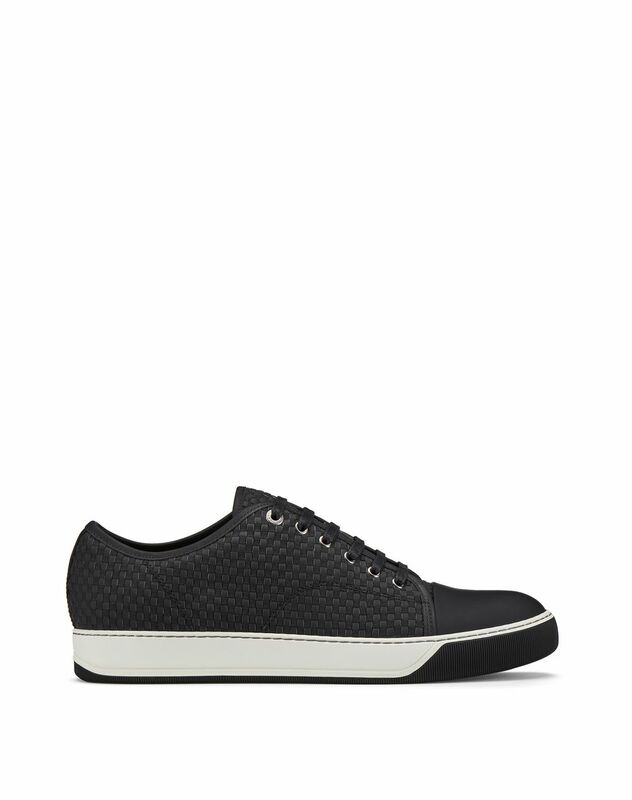 Classic yet casual, this DBB1 sneaker offers a contemporary, modern look.